Northern Tasmania, with Launceston as its city base, has so much to offer keen golfers and tourists to this region of Tasmania. Firstly, the golf courses are special... especially Barnbougle Links Golf Resort! Barnbougle Dunes and Barnbougle Lost Farm golf courses are located in a remote part of northern Tasmania and are gaining international acclaim for the pure links golfing experience that is reminiscent of the great links courses of Great Britain and Northern Ireland. Although only 15 years old, these courses rank by Australian Golf Digest as the best public access courses in Australia, such is the quality of the layouts. International Golf Specialists have targeted these magnificent courses as an integral base for fully independent and packaged golf tours to Tasmania. As an official Australian golf tour operator, we can package these courses with affordable and comfortable accommodation on-course and also in Launceston. We can also arrange private transfers or hire car rentals.While the warmer months offer the best weather conditions for golf, Northern Tasmania has four distinct seasons, and can be enjoyed all year round. A 4 night golf package staying at quality accommodation in Launceston and also on-course at Barnbougle Links Golf Resort. On the North East Coast of Tasmania lies a hidden gem and one of the world’s top golf destinations, Barnbougle Links Golf Resort. 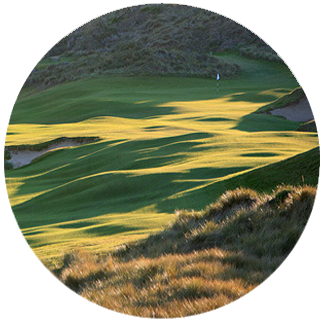 Barnbougle consists of two courses – The Dunes and Lost Farm. Carved from the natural contours of the coastal land, both courses have been designed to emulate the true links courses of Scotland and Ireland and reduce impact to the surrounding environment. Both The Dunes and Lost Farm play in and around the dramatic dunes of Anderson Bay and along the pristine coastline, to create a golf experience that is breathtakingly beautiful, wholeheartedly challenging and 100% memorable. Country Club Tasmania boasts an international standard 18-hole golf course, originally designed and built as part of the property in 1982 by Mike Wolveridge and British Open champion Peter Thomson. Since then, the course has grown to be one of the best courses in Tasmania, with challenging fairways, water hazards and fast greens that are truly of championship standard. The course is meticulously maintained by our team of greenkeepers and regularly hosts state and local tournaments. 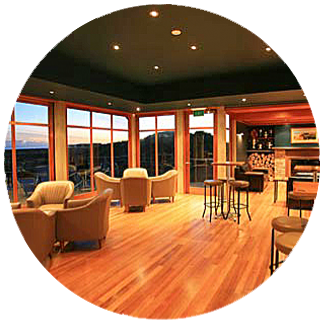 Country Club Tasmania is located in parkland on the rural fringe of Launceston, northern Tasmania's major city. It is Launceston's premier choice for holiday accommodation, dining and entertainment. There is a variety of accommodation choices, including hotel rooms and 5-star luxury suites in the main Country Club complex. Adjacent are Country Club Villas, with a range of villa suites and ideal family accommodation in self-contained 1, 2 and 3-bedroom villas. Country Club Tasmania has a selection of great restaurants and bars, offering casual bistro-style meals overlooking the golf course in Links Restaurant, quick and inexpensive meals in the Watergarden and fine dining featuring Tasmania's best food and wine in the award-winning Terrace restaurant. All guests have access to the full selection of Country Club's many recreational facilities and activities, including championship 18-hole golf course, health club with pool, spa and sauna; squash and tennis; horse riding and trout fishing. Guests receive the following complimentary services; access to 24-hour reception, room service, Wi-Fi & parking. Barnbougle Links Golf Resort has a number of accommodation options to suit your individual or group requirements. The Dunes' Cottages offer quality 3.5-star accommodation for up to four people. These two-bedroom cottages, twenty-two of them in total, are equipped with standard hotel room facilities, including a deck with outdoor seating and stunning views of the course and coastline. Available in king single or queen double configurations, the cottages are clean, cosy and affordable – the perfect accommodation option for your stay at Barnbougle. Stay on-site and enjoy the stunning views of the Lost Farm course and surrounding coastline and hinterland. Lost Farm Lodge provides a stylish accommodation option for those looking to wake up right on course, with each suite only a short stroll to the Lodge Restaurant, Spa, Clubhouse and first tee. Lost Farm Lodge offers two types of luxury accommodation & Single and Double Queen Suites. These open plan, hotel-style rooms provide a choice of views, with the Ocean View Room or the Course View Room looking out across Anderson Bay and the Lost Farm Golf Course, respectively. Non golfer prices are available on application.